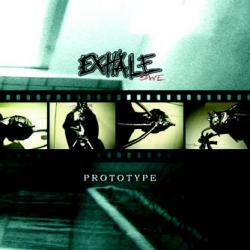 Grindcore from Sweden is normally an automatic guarantee for quality, and Exhale are no exception to the rule. After Nasum tragically ceased to exist, Scandinavia may well have found logical successors. With songs running on average for nearly three minutes, Exhale show that the grindcore genre has far evolved since the early days where bands came up with fifty song albums that didn't even take up half an hour. Combining the crunchy Swedish influences with the more death metal orientated later Napalm Death, Exhale deliver fourteen amazing bombs that use mid-tempo parts intelligently to give their blastspeed moments even more momentum. They are best whenever they swerve over to more angular progressive moments, like on Hatet and The Lie, two of the most incredible grindcore tracks I have ever encountered. It's possibly a bit early to crown Exhale as the new kings of European grindcore, but they are well on their way, and by combining elements from thrash, death, grind and crust, they even have the ability to aim at a wide audience. Prototype is by all means a very surprising and refreshing debut album!